Rated: 3,75 out of 27 votes. 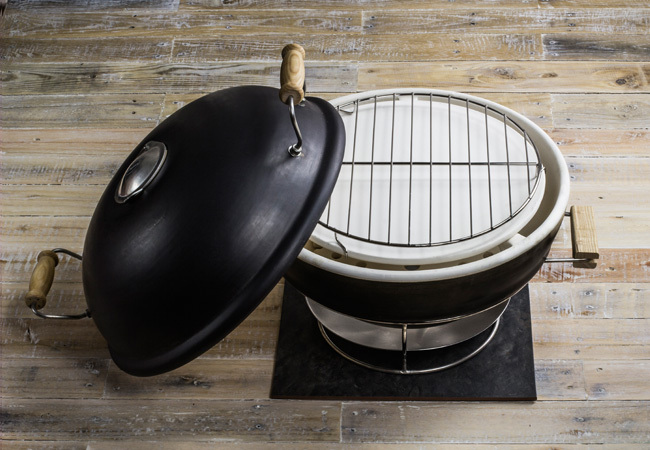 This handmade ceramic Pewter Pizza Oven with its stylish design, allows you to experience authentic wood fired pizzas within the comfort of your home. From intimate family pizza nights to fun gatherings and gourmet entertainment, you will never want to eat pizza anywhere else! 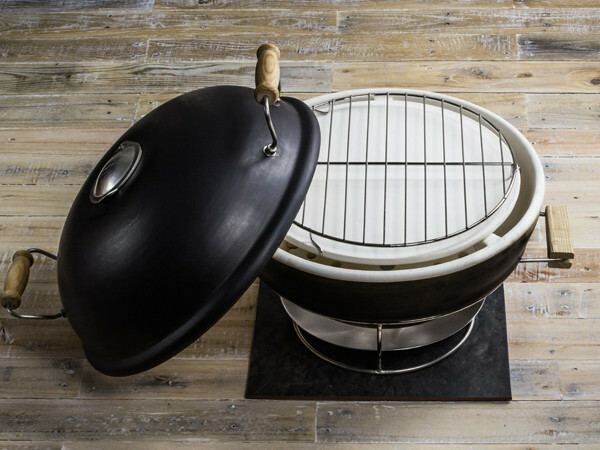 Revolutionise pizza evenings, by bringing the Pewter Pizza Oven into your kitchen or onto your table. Everyone can get involved and with a pizza being cooked every 3 minutes, you get a thin, crispy base while the toppings remain delicious and full of flavour. Gather your family and friends around the table, get creative with your toppings and have fun sharing your inventions. Pizza nights just became fun and easy! Oven ready within 30 minutes! You can’t eat them faster than the oven can cook them! Premade bases available – no hassle of making dough and rolling bases. Add your toppings and go! 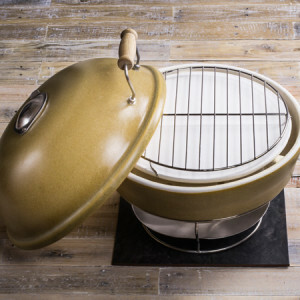 Bake bread, roast meat, roast veggies, smoke meat/fish, and BRAAI! Click here to download instructions in PDF format. Rated: 4,19 out of 4 votes.